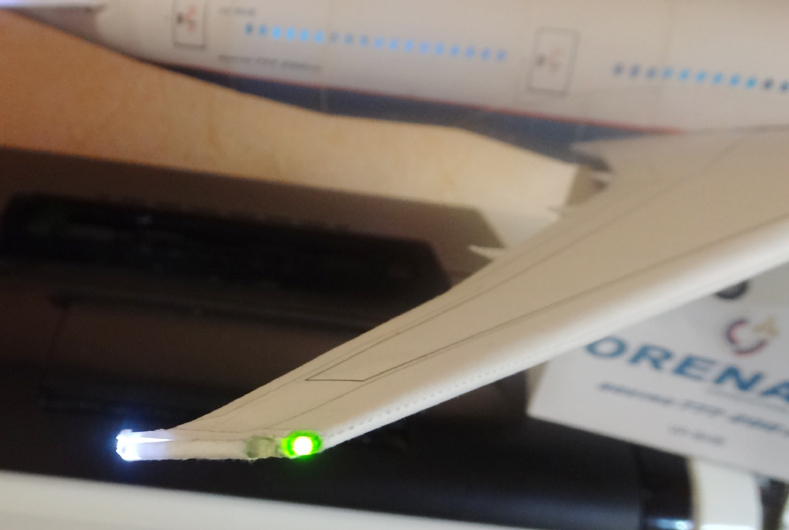 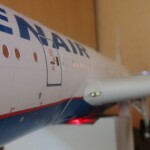 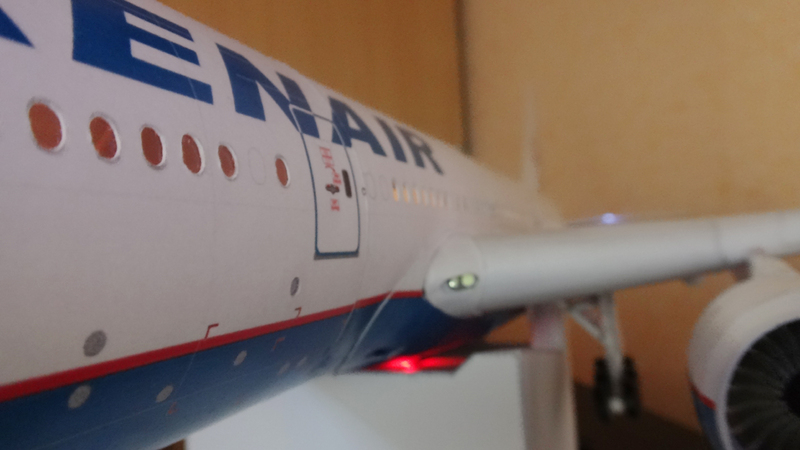 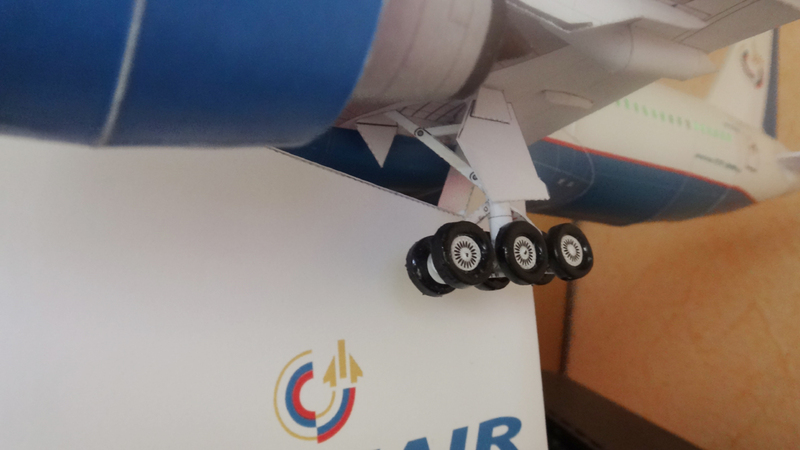 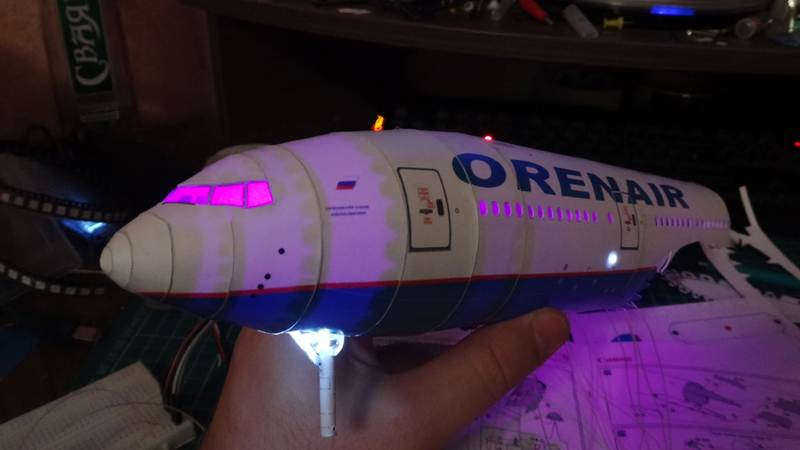 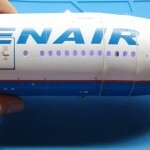 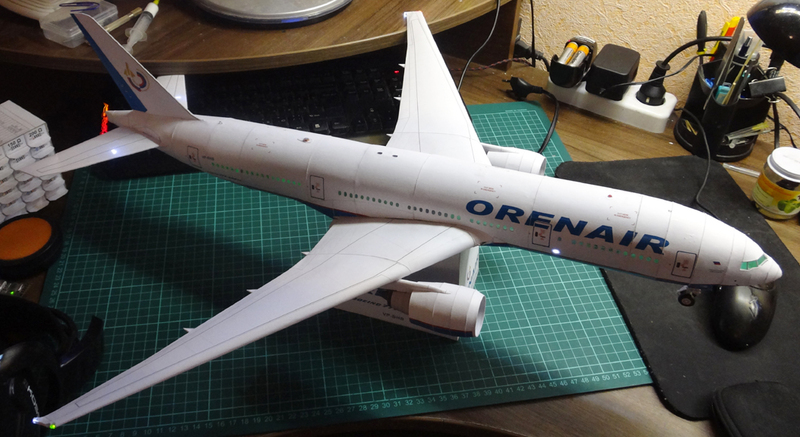 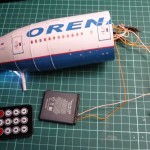 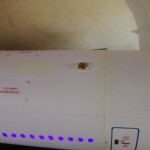 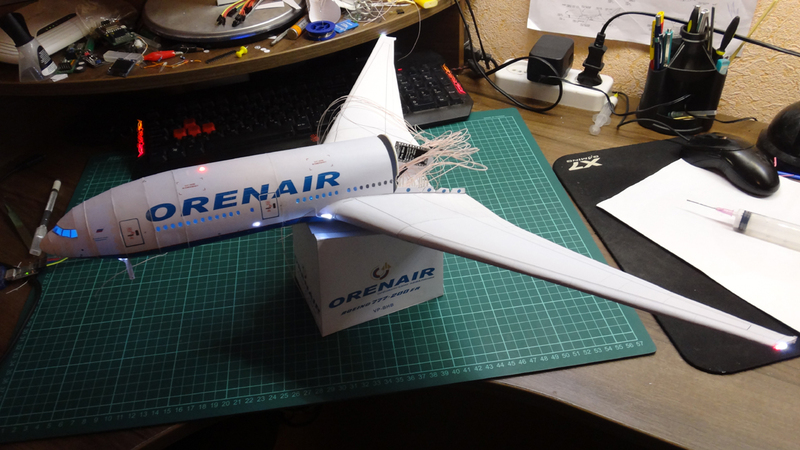 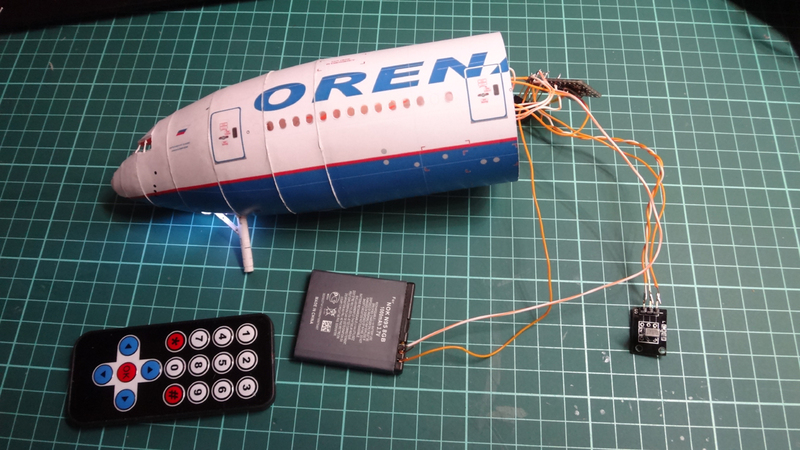 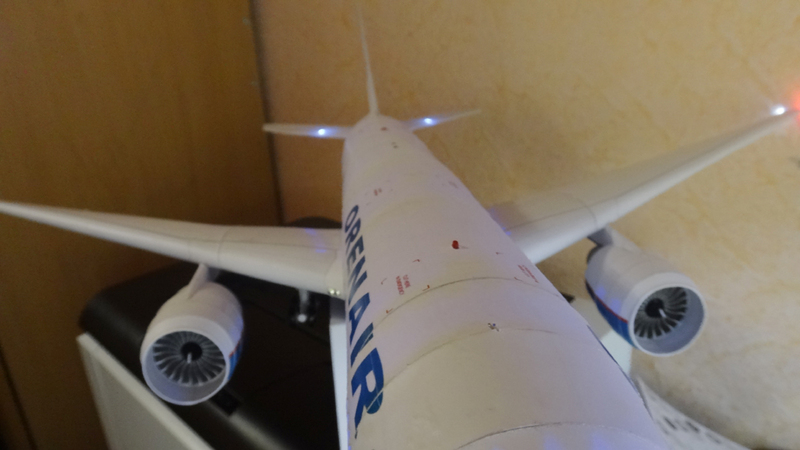 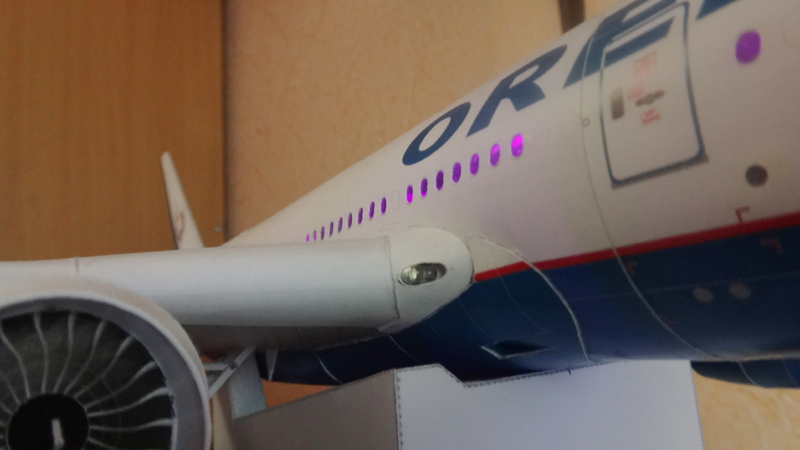 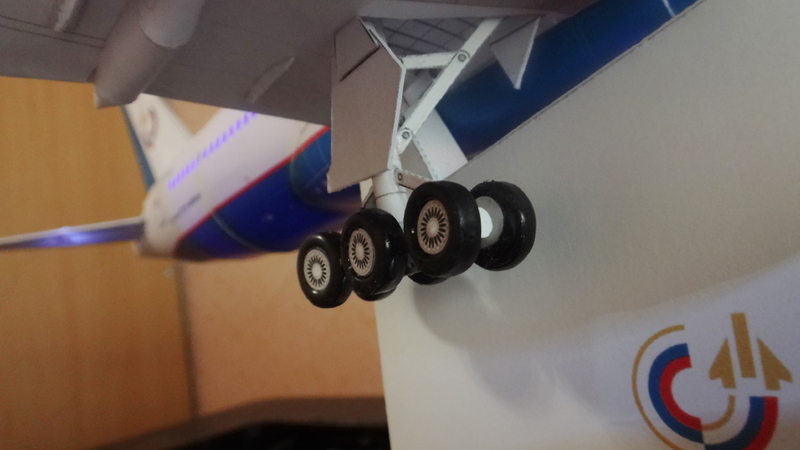 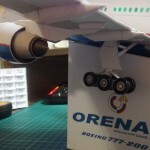 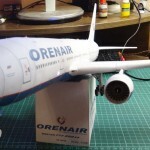 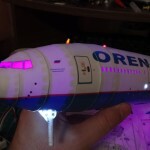 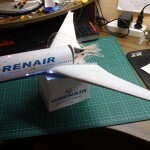 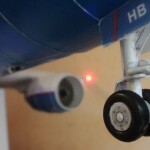 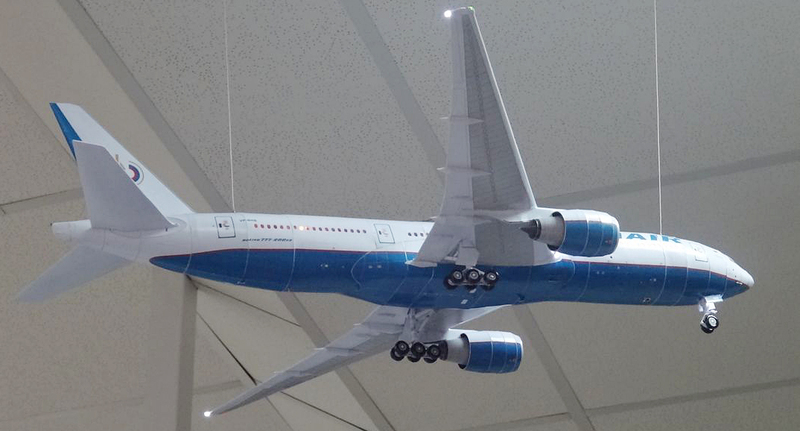 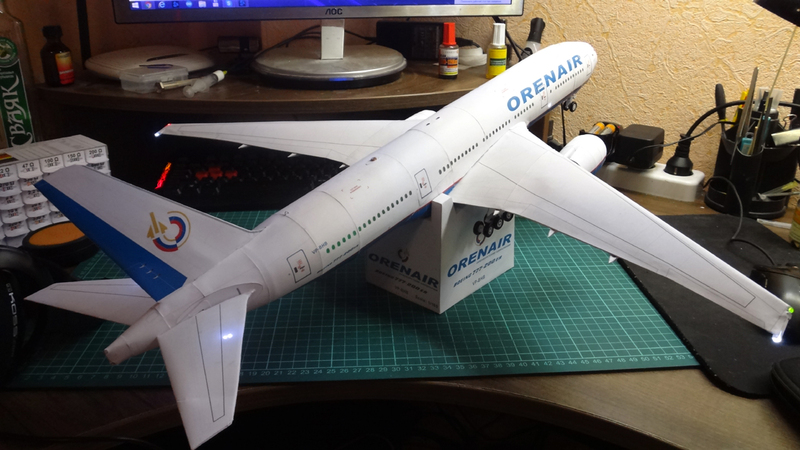 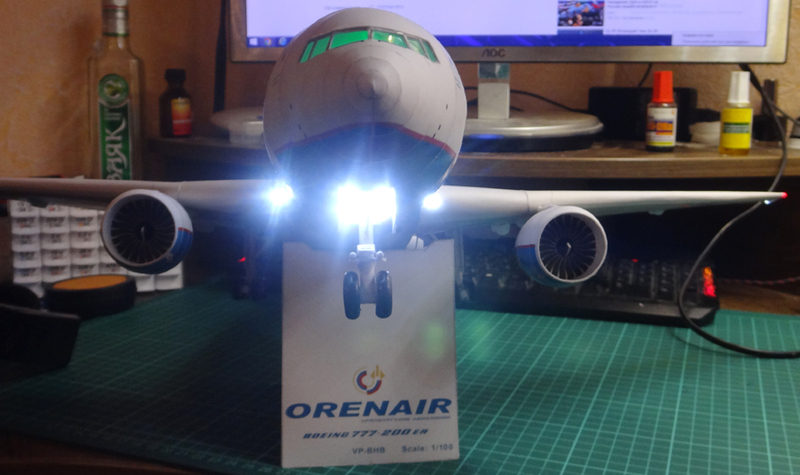 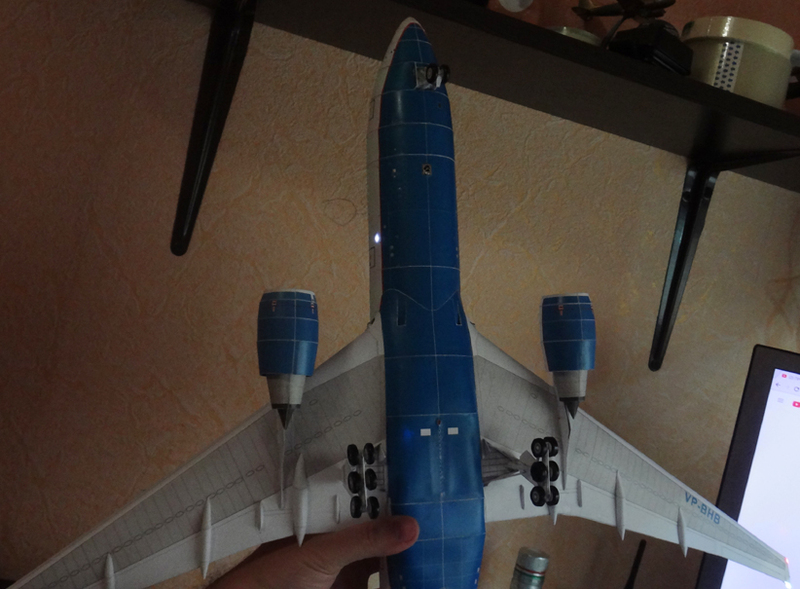 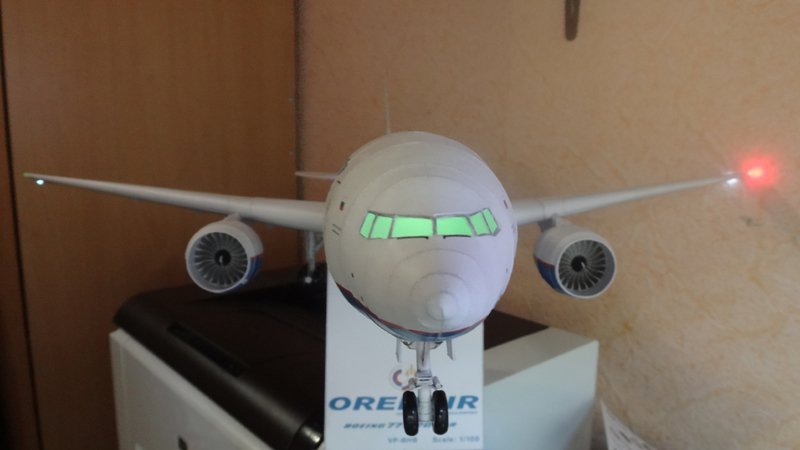 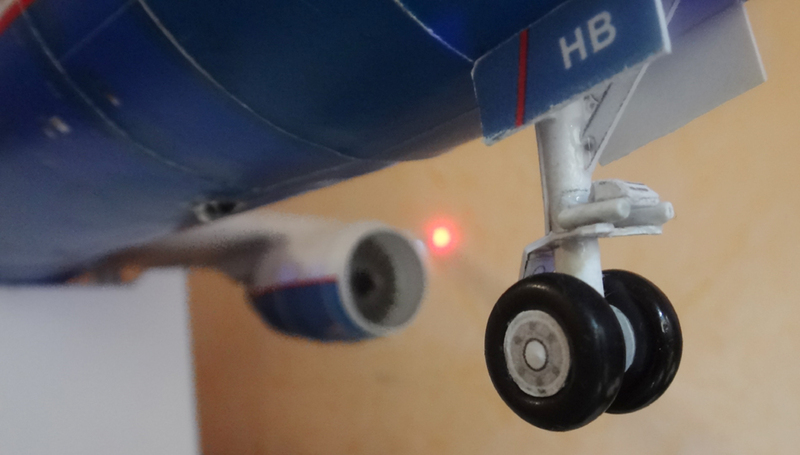 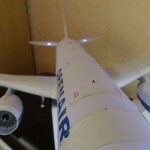 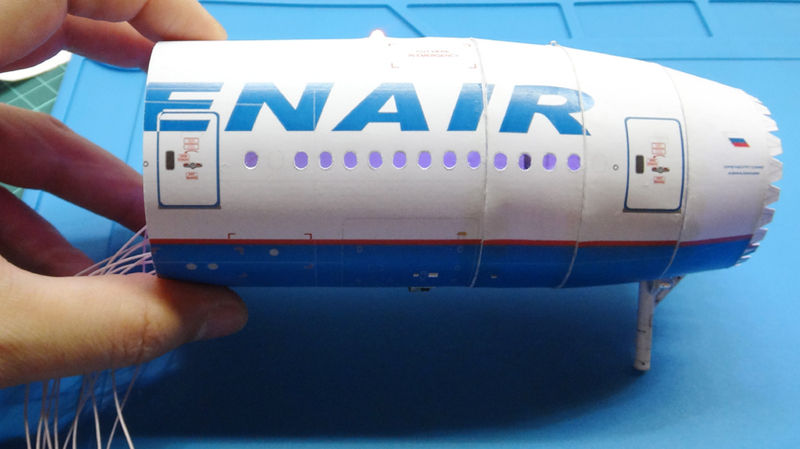 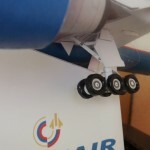 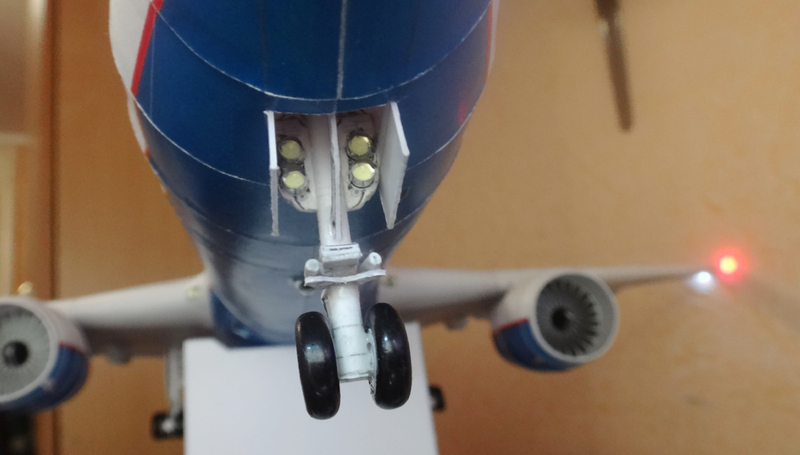 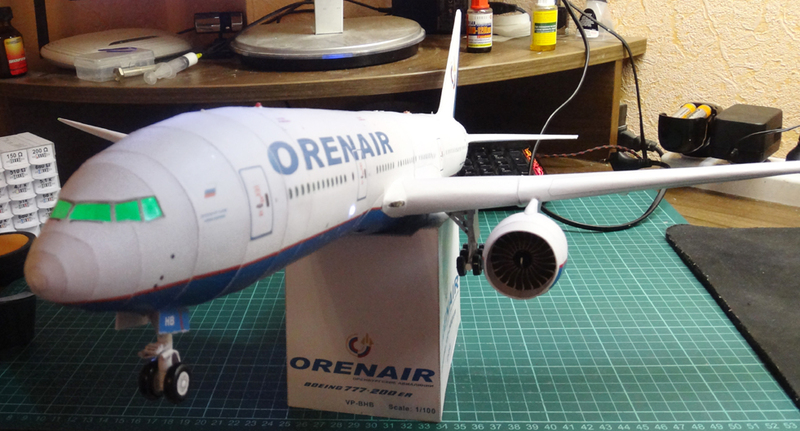 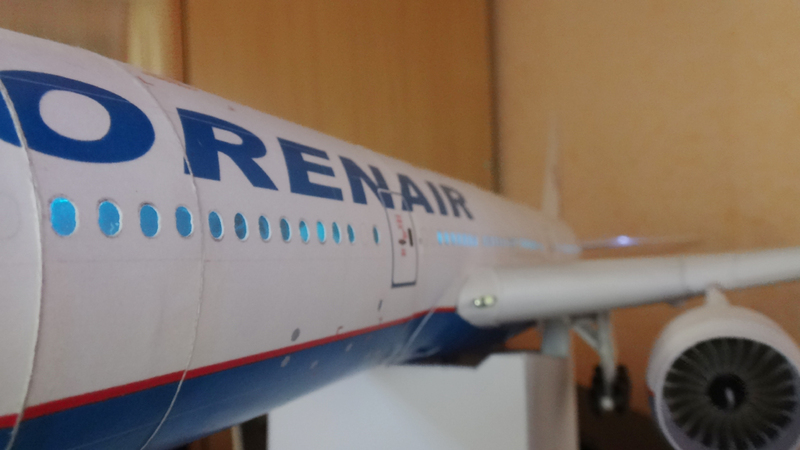 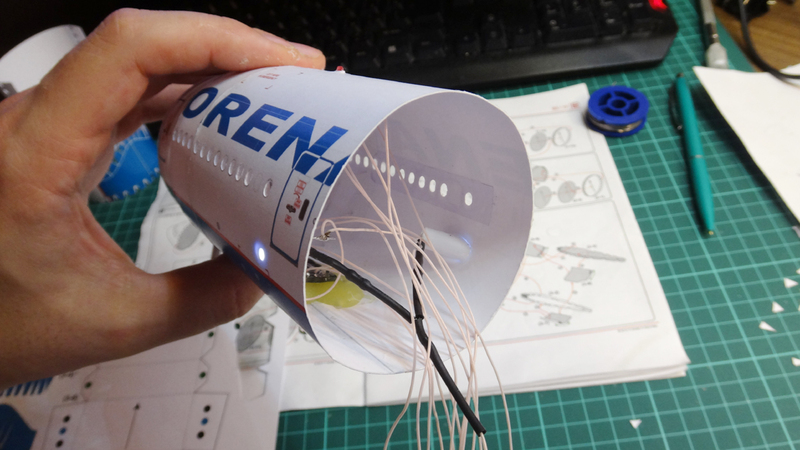 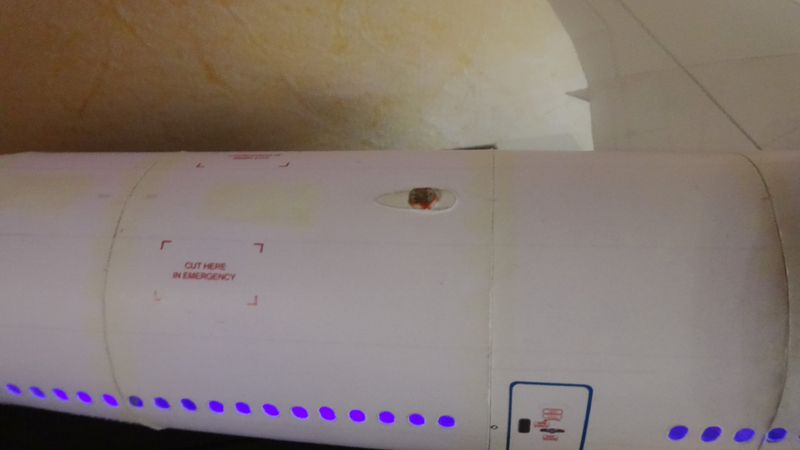 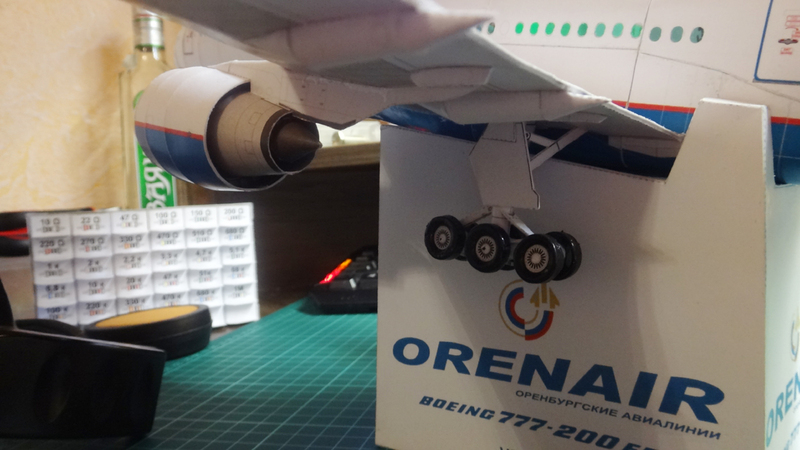 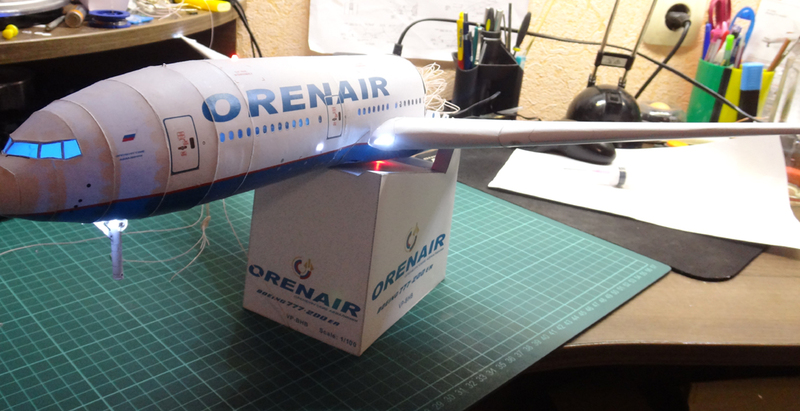 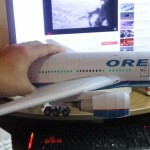 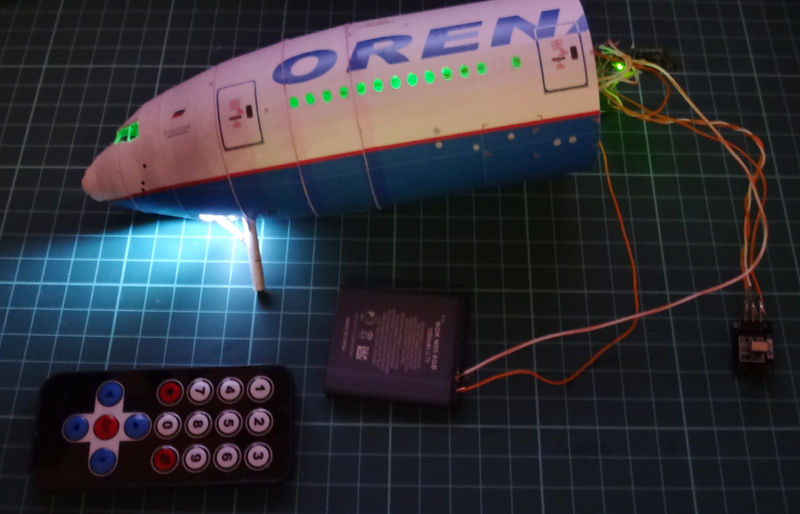 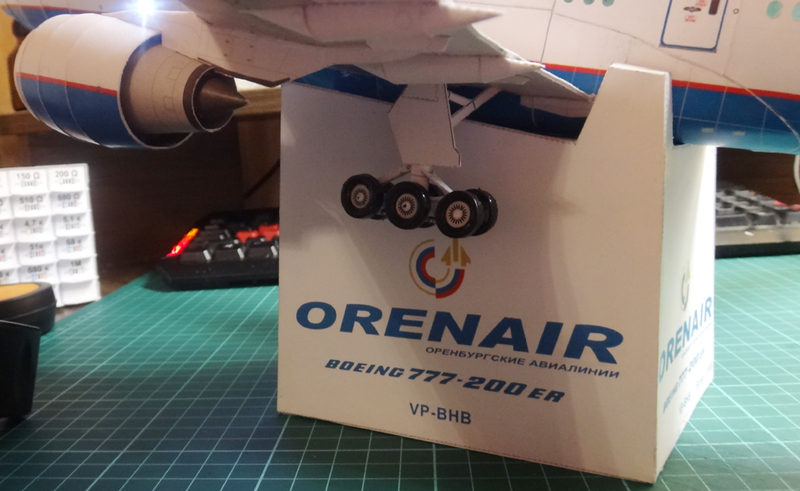 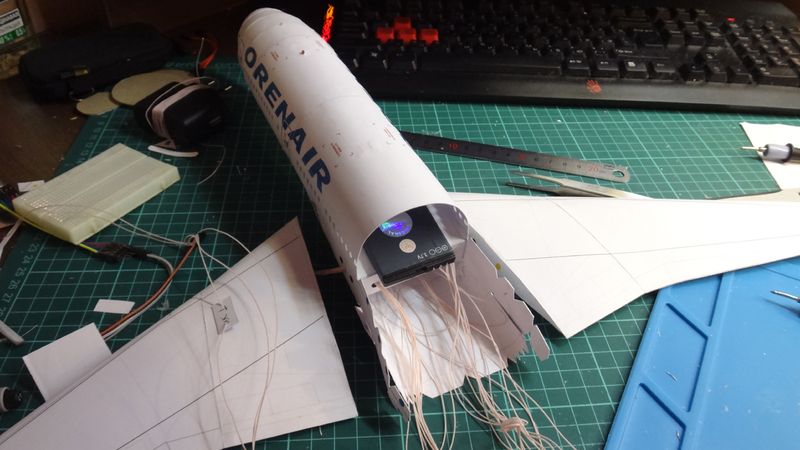 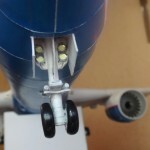 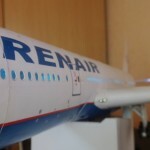 Belarusian modeler Sergei Lukyanov (Lukys) assembled paper model Boeing 777-200ER by Canon in ORENAIR livery in scale 1: 100. 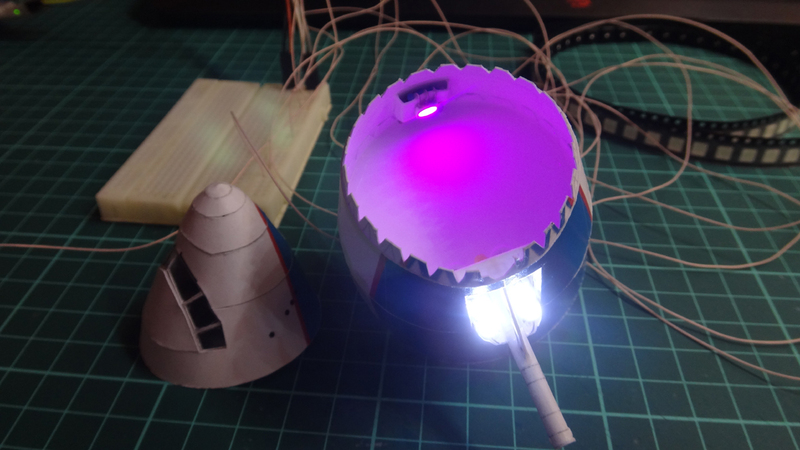 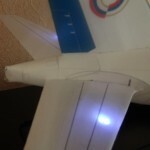 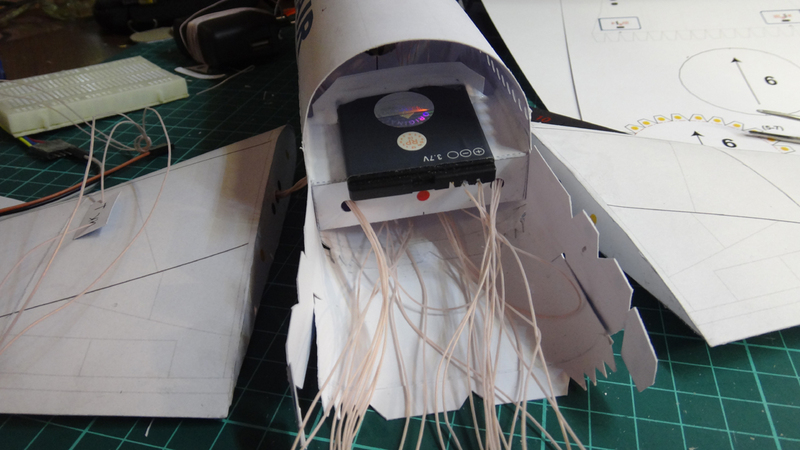 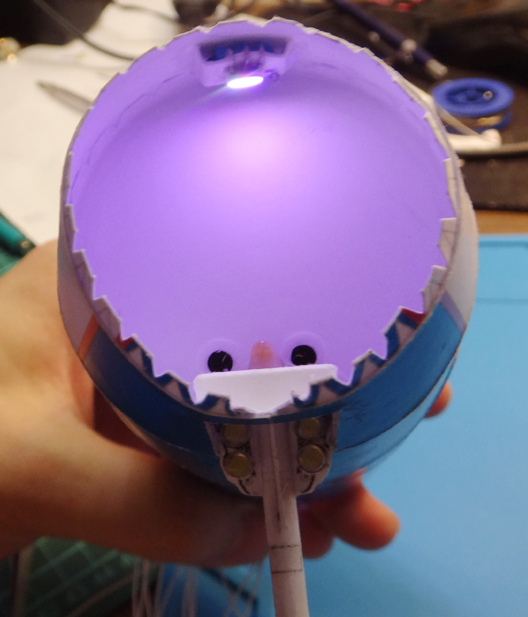 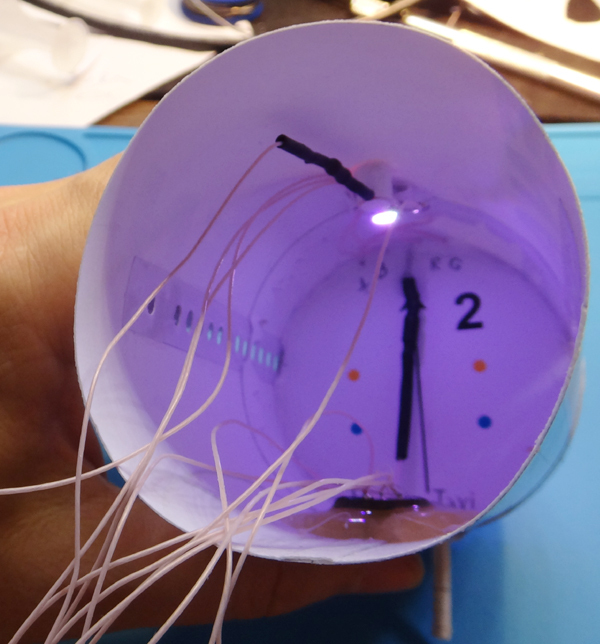 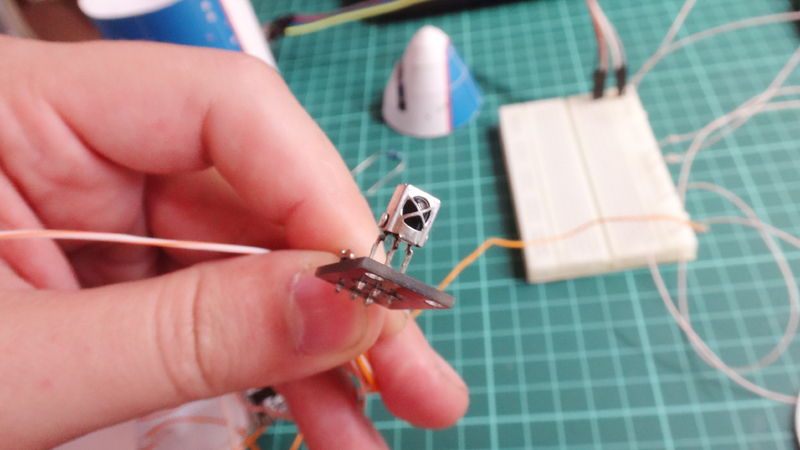 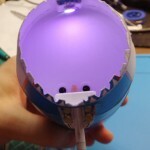 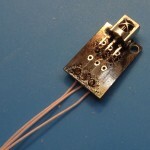 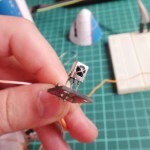 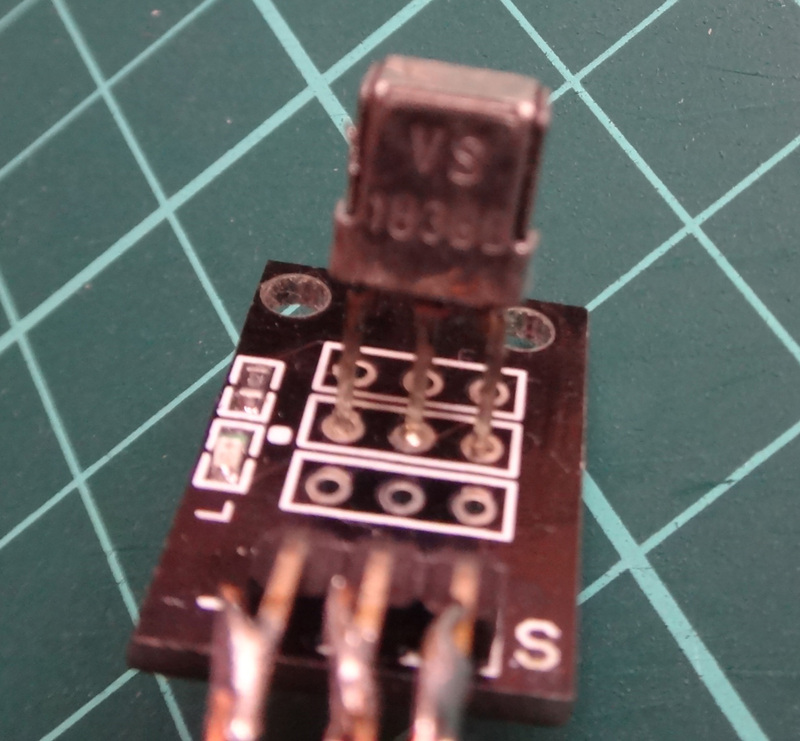 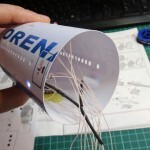 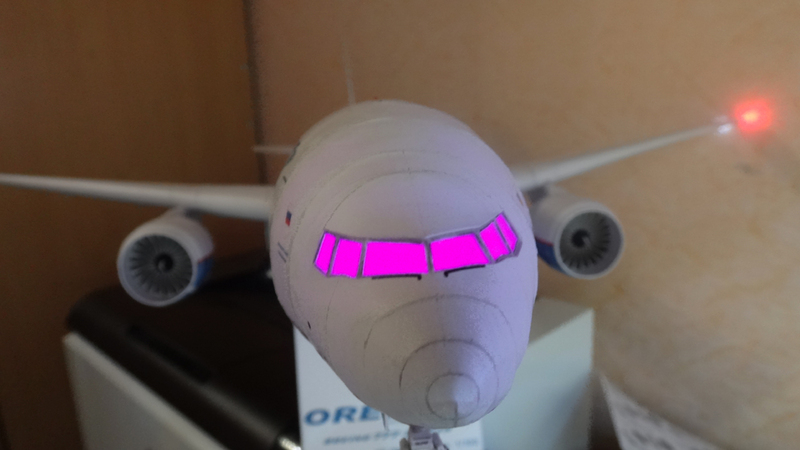 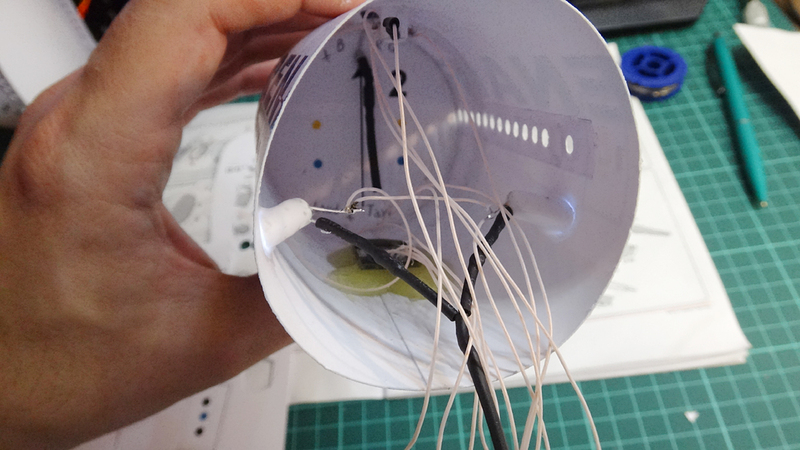 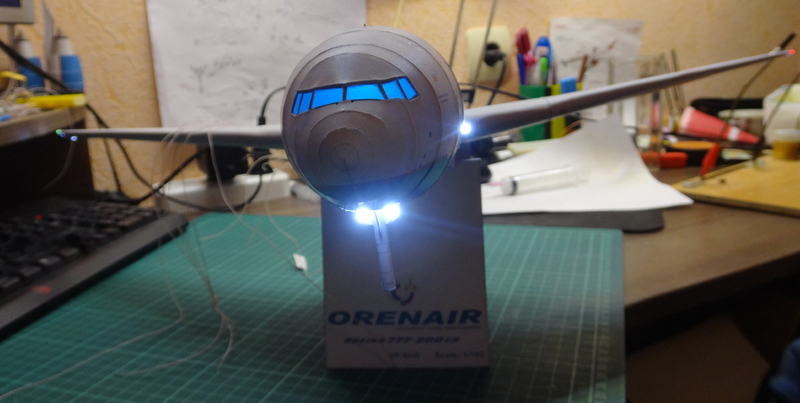 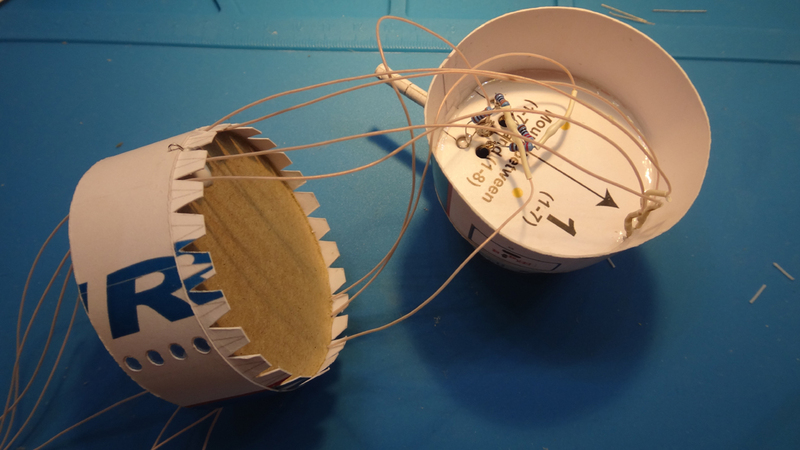 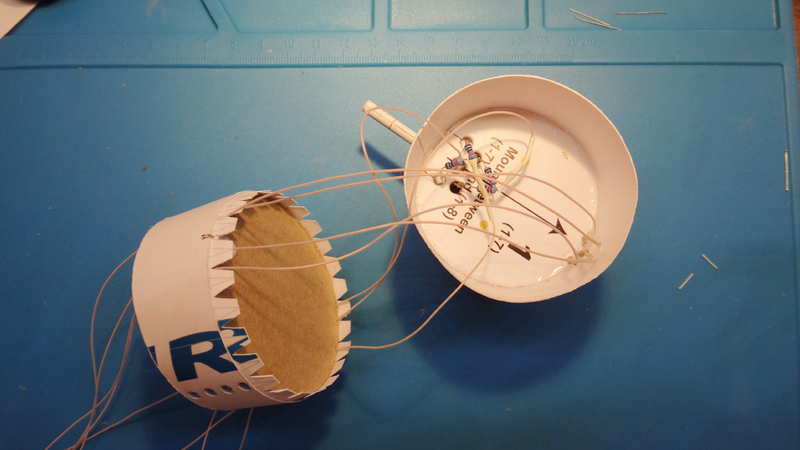 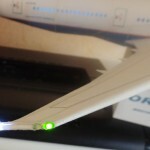 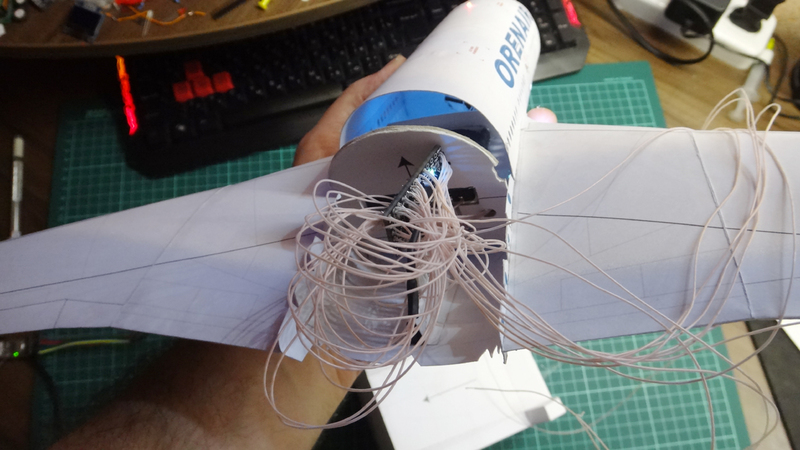 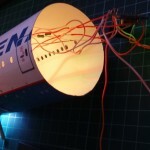 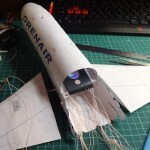 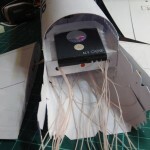 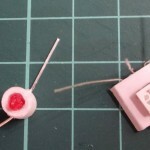 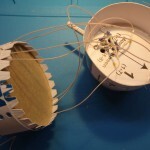 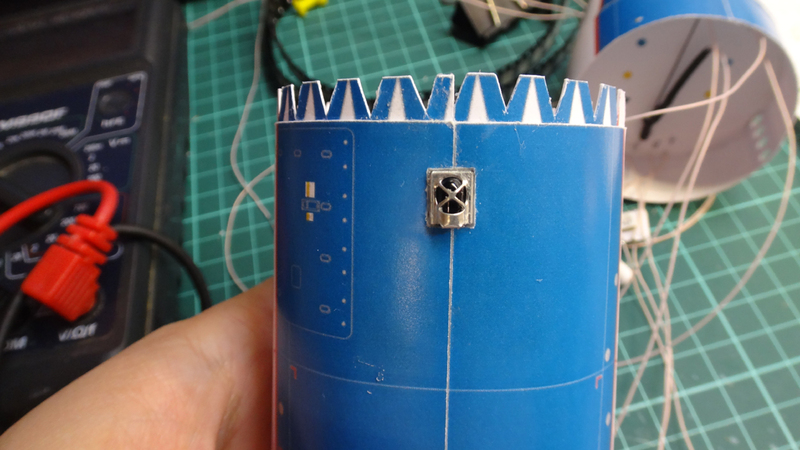 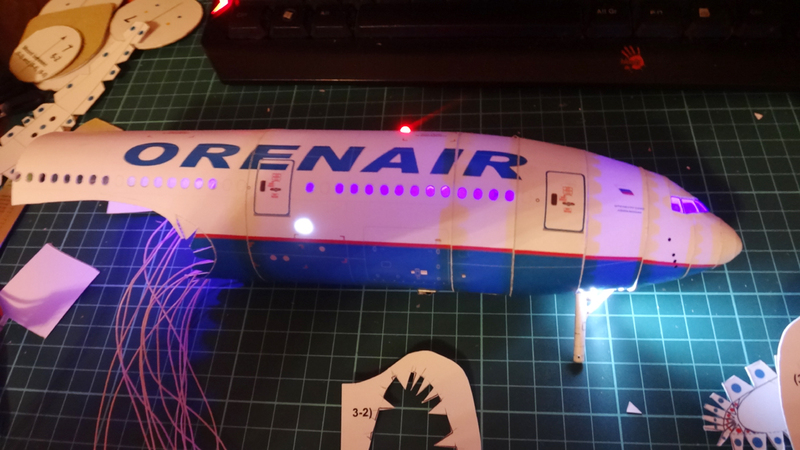 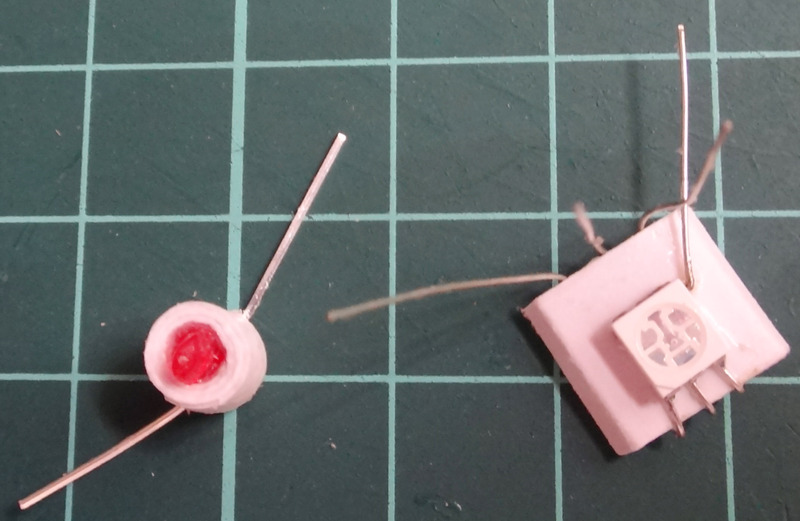 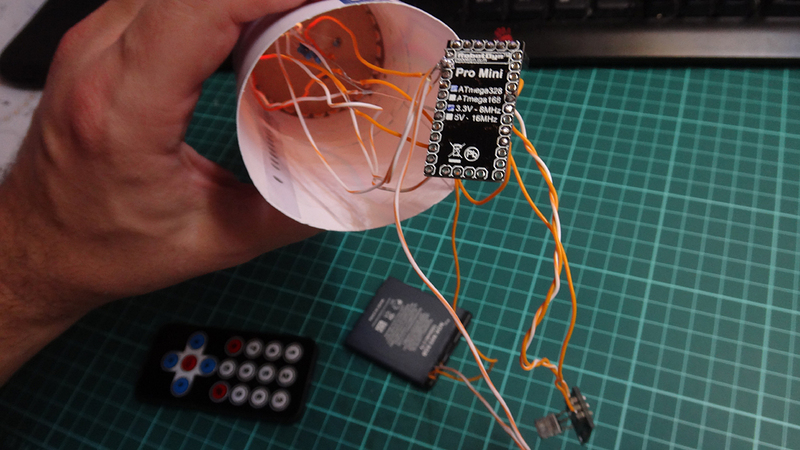 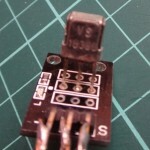 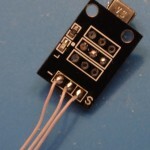 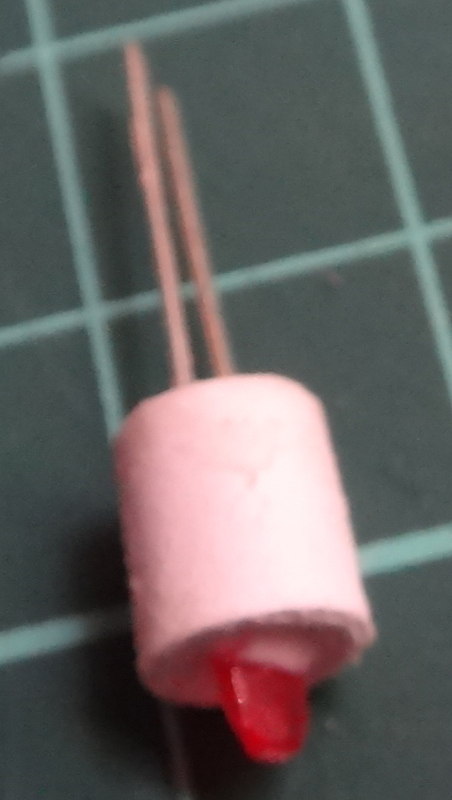 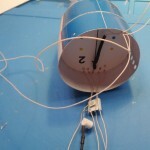 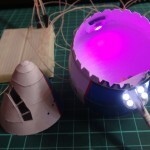 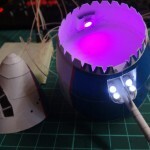 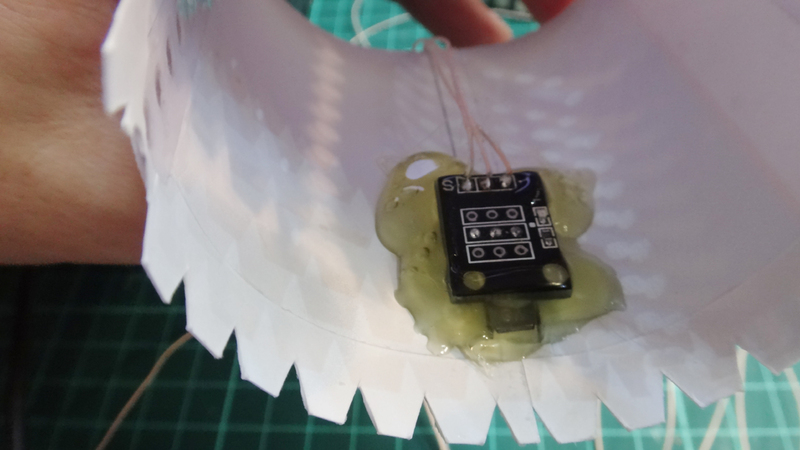 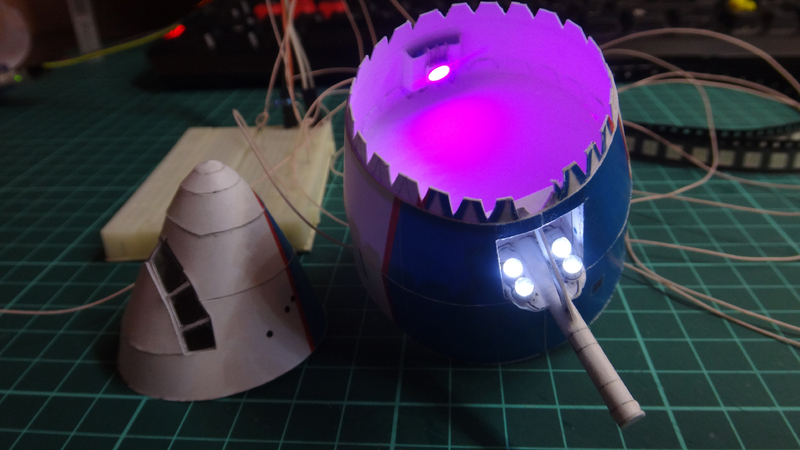 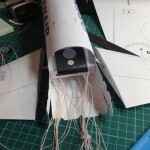 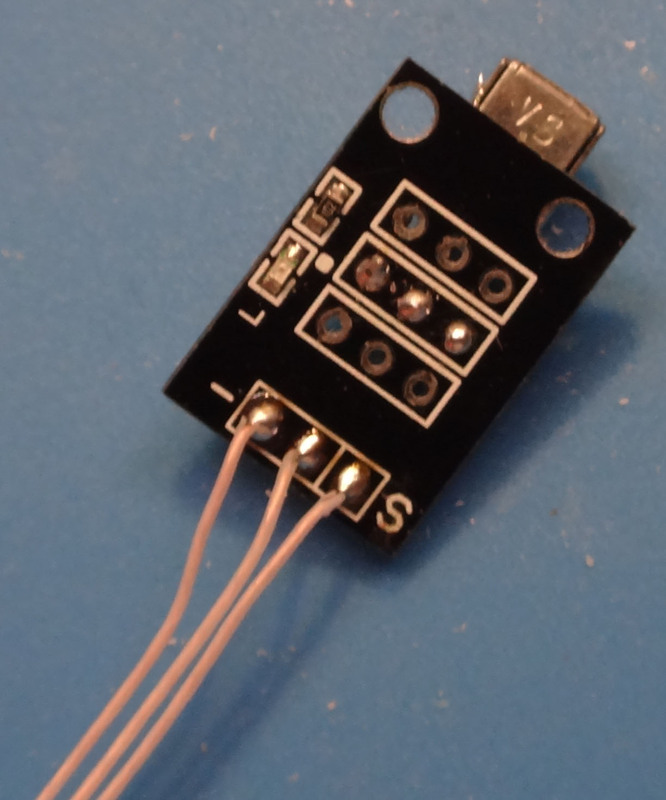 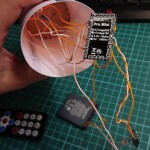 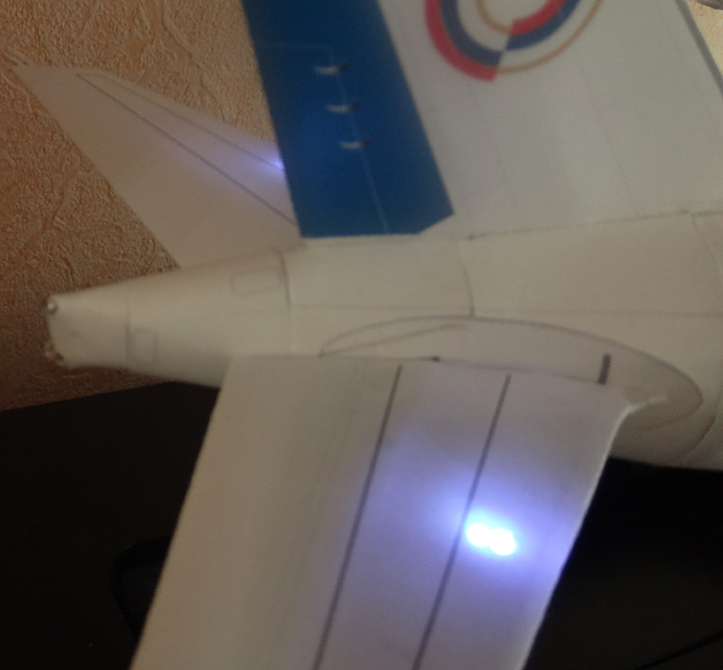 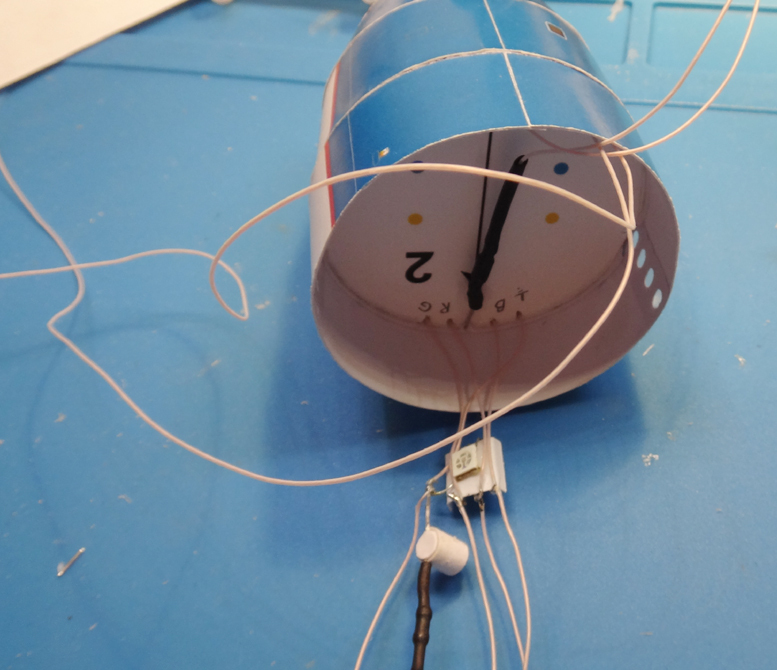 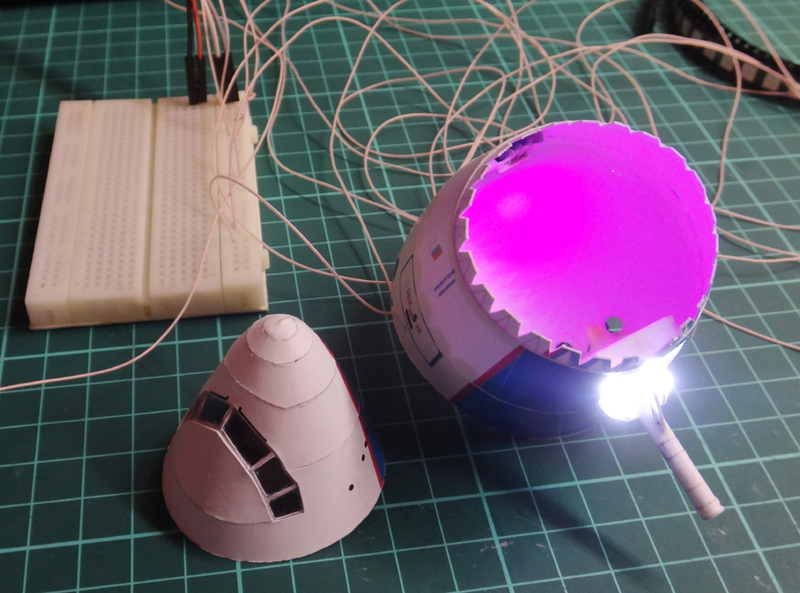 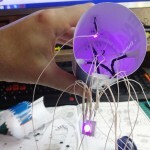 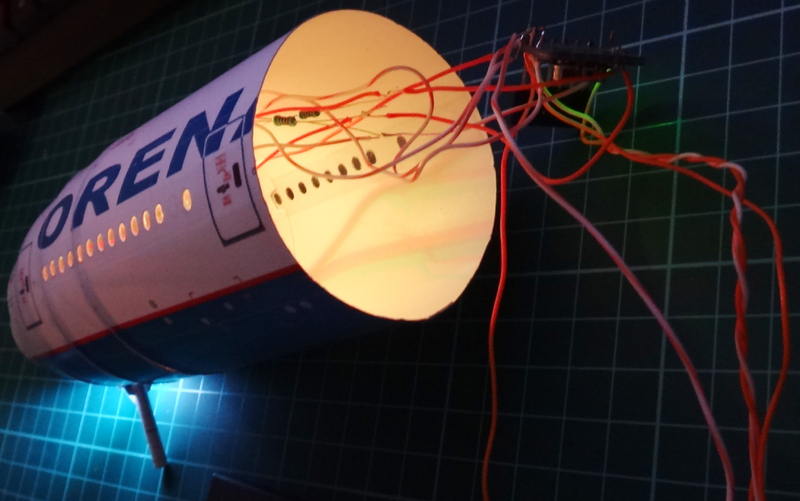 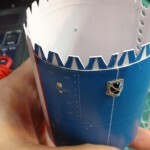 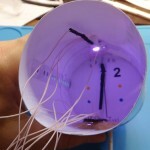 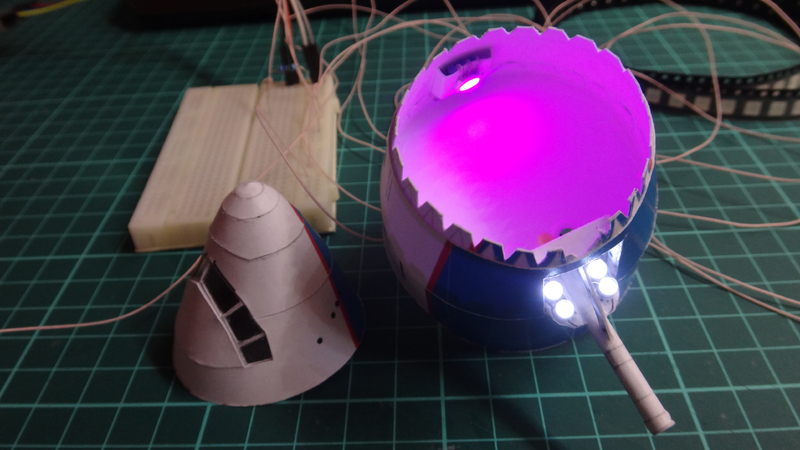 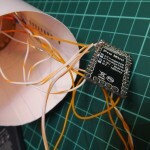 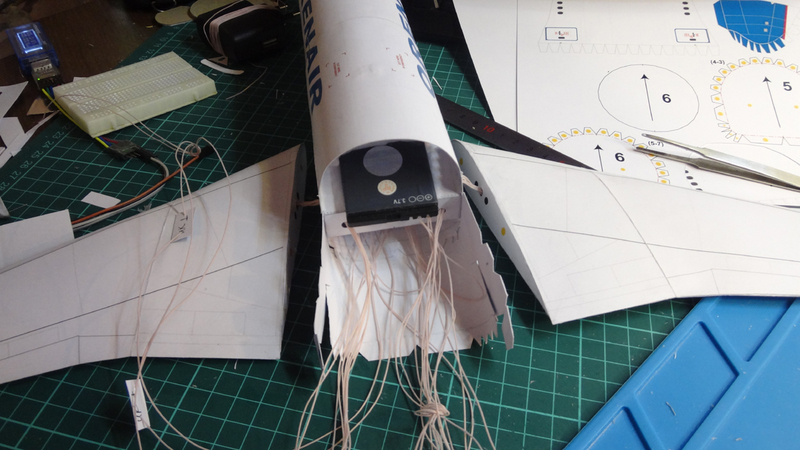 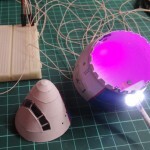 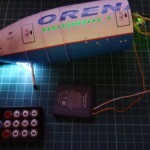 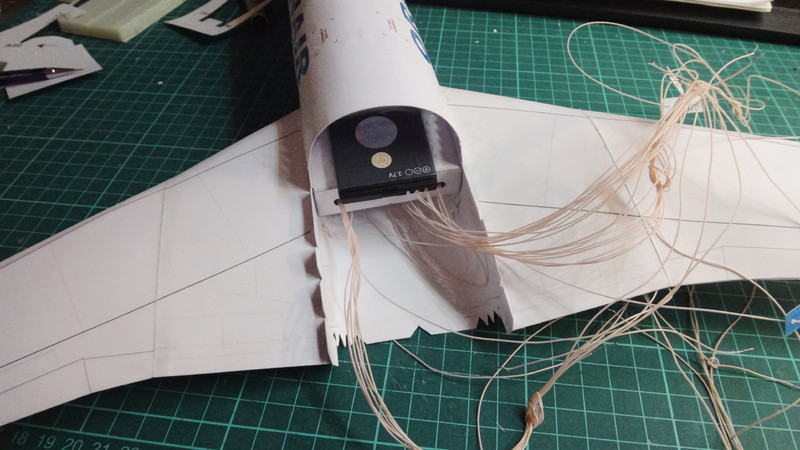 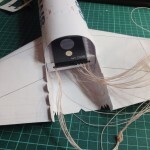 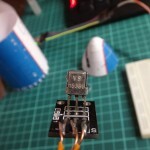 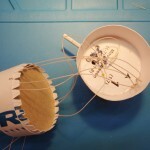 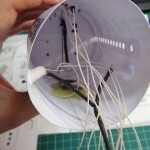 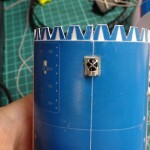 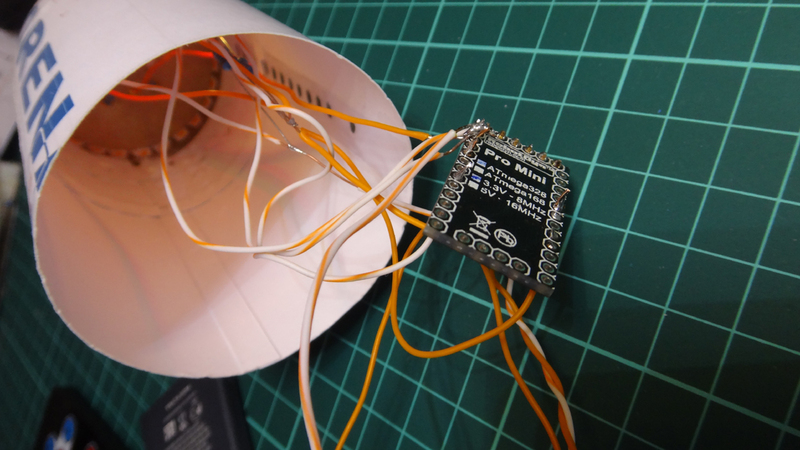 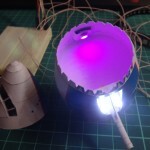 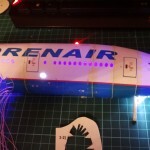 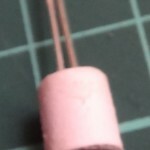 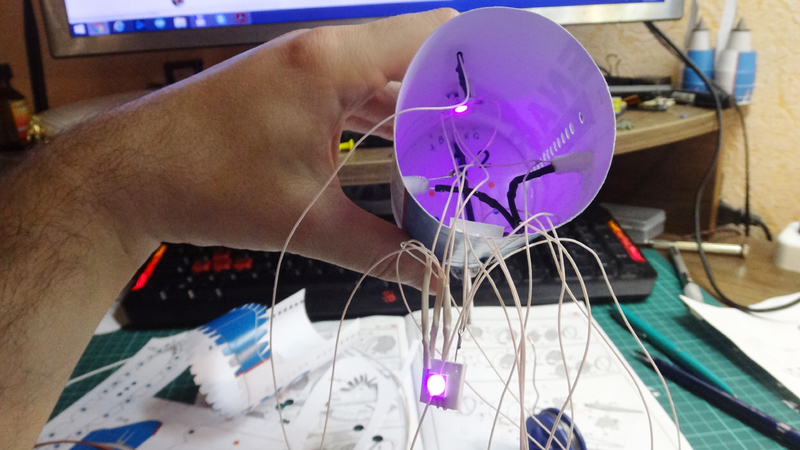 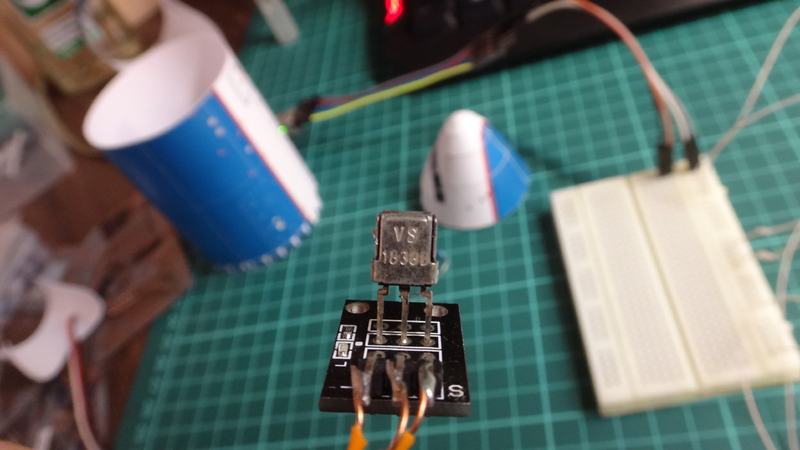 He also made the electrification of the model with the most accurate imitation of navigation lights based on the Arduino Pro mini 3V3 microcontroller. 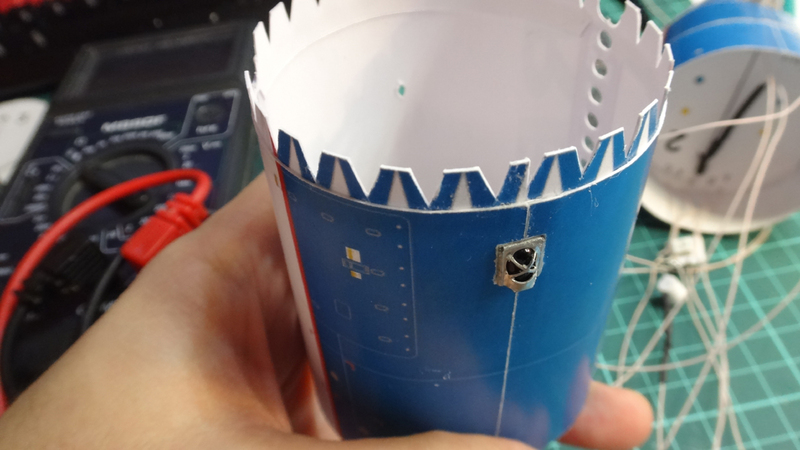 A detailed build process with the author’s comments and the final photos of the model can be viewed here and here. 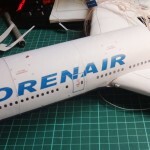 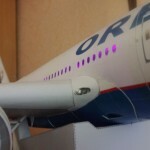 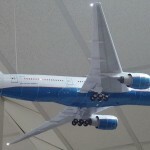 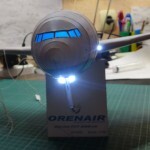 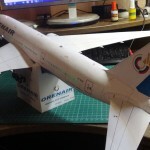 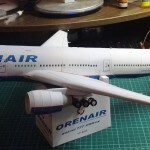 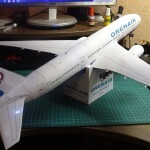 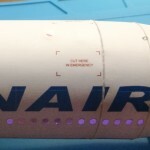 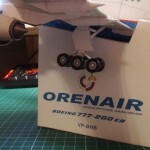 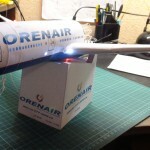 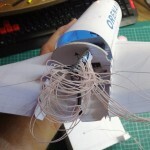 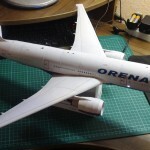 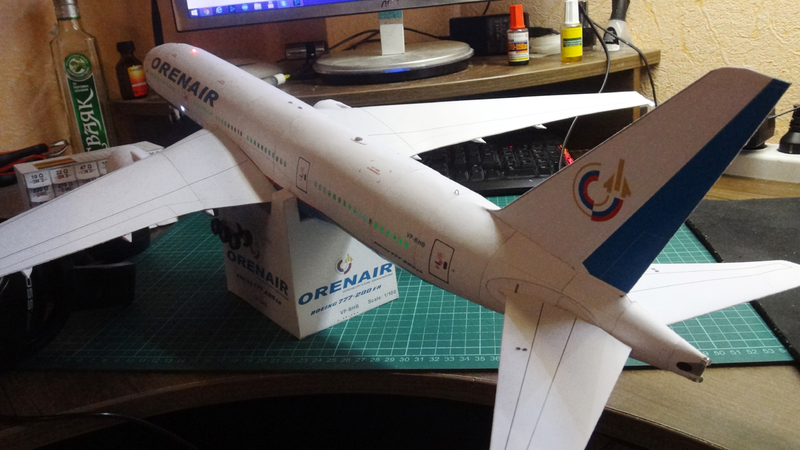 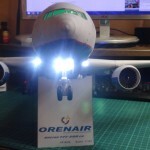 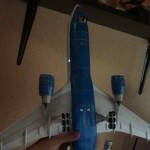 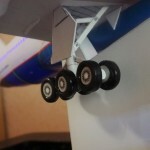 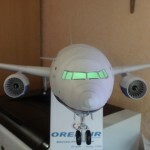 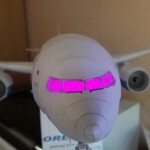 Download paper model Boeing 777-200ER by Canon in ORENAIR livery in Links section.